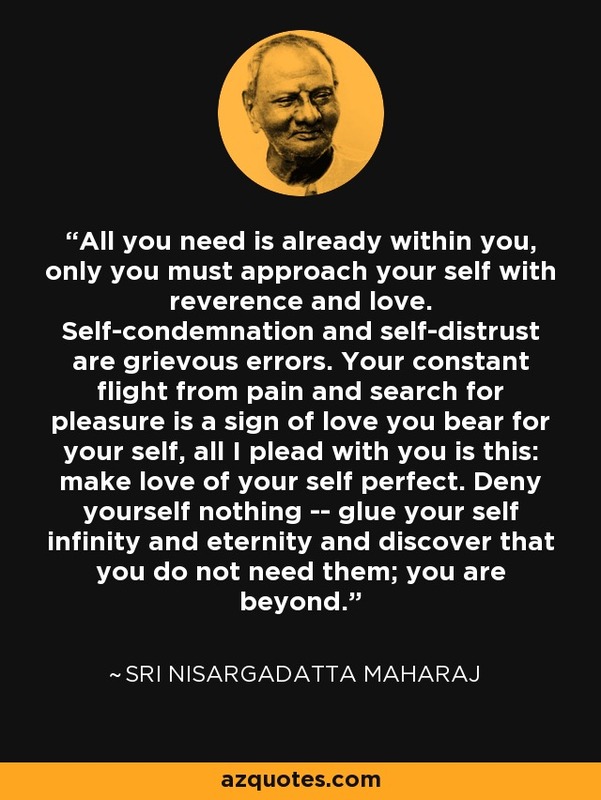 All you need is already within you, only you must approach your self with reverence and love. Self-condemnation and self-distrust are grievous errors. Your constant flight from pain and search for pleasure is a sign of love you bear for your self, all I plead with you is this: make love of your self perfect. Deny yourself nothing -- glue your self infinity and eternity and discover that you do not need them; you are beyond.